Parallel space is sort of an qemu which will host the apps inside its own space & ram which may hamper performance on low-end Android phones. But there’s a solution to this problem too – App Cloning! 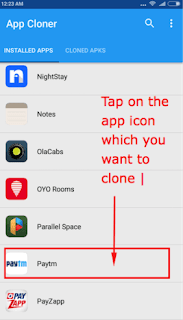 App cloning will let you clone apps present on your device & install them.. Thus, you can now use 2 versions of same app easily without even using space of external apps such as Parallel Space, 2 Accounts, 2 Face etc. 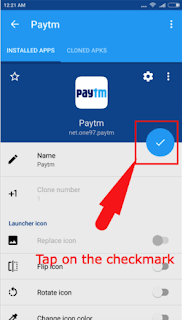 Thus, enabling easier multiple accounts to apps like facebook, snapchat, paytm , freecharge etc that too without requiring root. 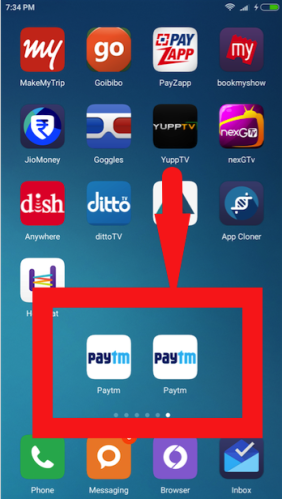 First of all Normally download & install the app which you want to clone , and log-on to your first or primary account inside the app. Now tap on “OK” in the pop-up box which shows that existing app will be cloned. 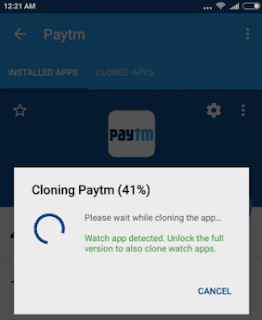 Once the cloning process is finished it will execute the apk & ask you to install it. 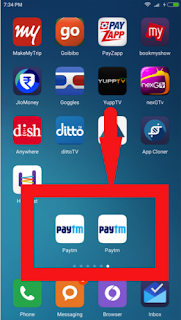 Install the apk and voila you now have two versions of same app in your Android phone. 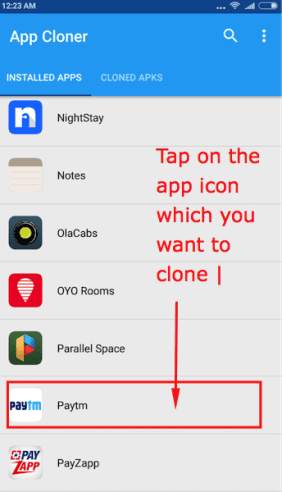 Alternatively you can access your apk’s from the “Cloned Apps” section once you open the Apk cloner app and even share the cloned apk’s with your friends too! . The cloned apk works perfectly same as the normal app and is accessible directly from the app drawer unlike in parallel space where its accessible via app.. Besides, being the original clone app it perfectly functions with all the functions as in the original app . If you face any problem, feel free to ask here. I will try to reply you all. Wow this is fantastic, I will surely try this application to clone any application.